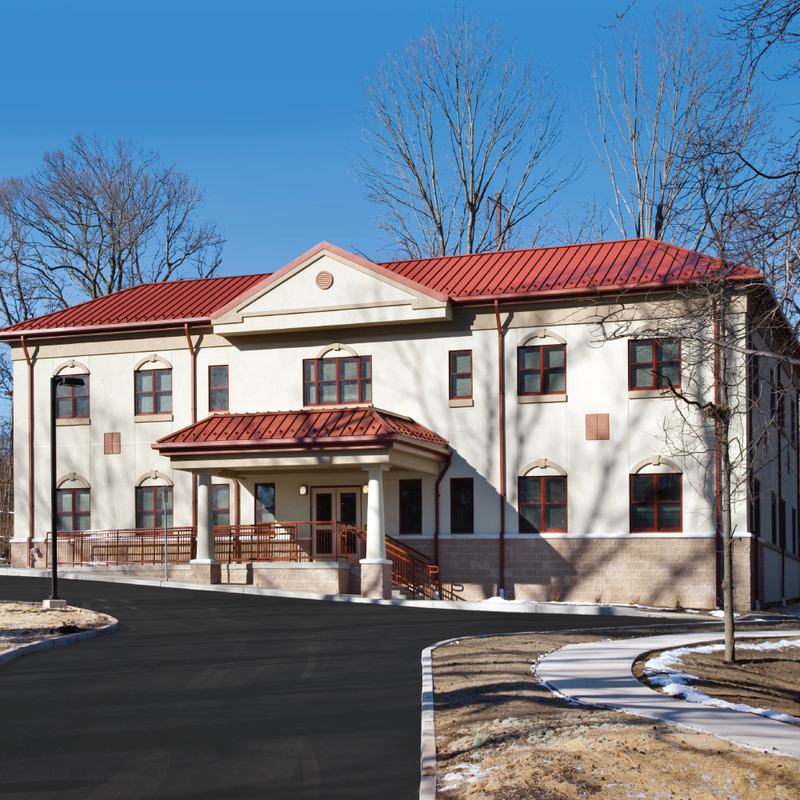 Design Resources Group was engaged to design a two story administration building on the existing Lakeview School Campus. The building was designed to complement the aesthetics of the existing buildings which are integrated into the surrounding park. 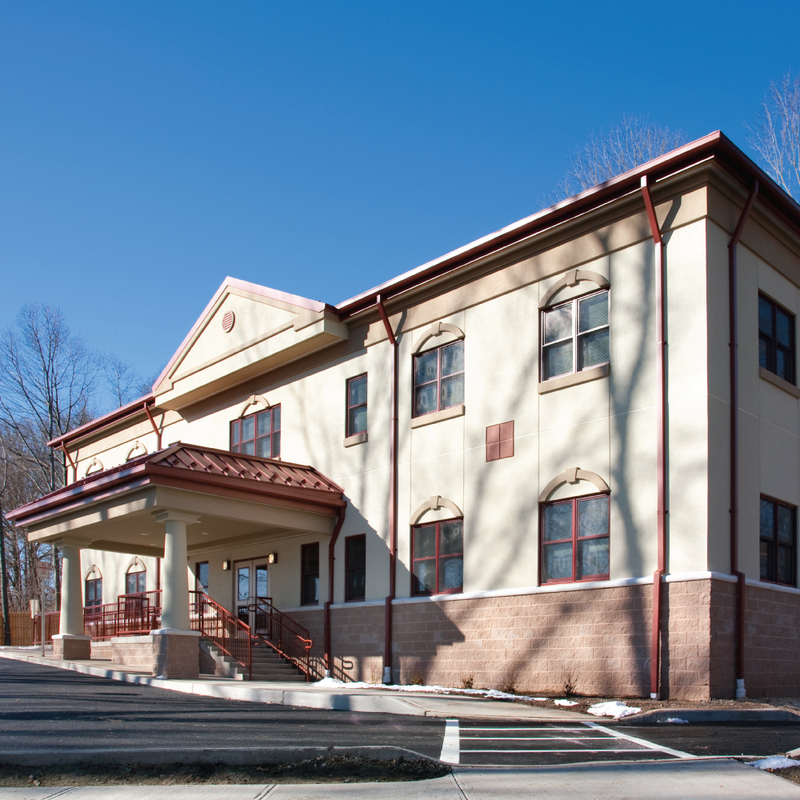 The expanding operations of the Cerebral Palsy Association of Middlesex County requires a central location to house all of their administrative services thus creating additional space in the existing building for student use. The interior is designed around a center service core with an open stair atrium. 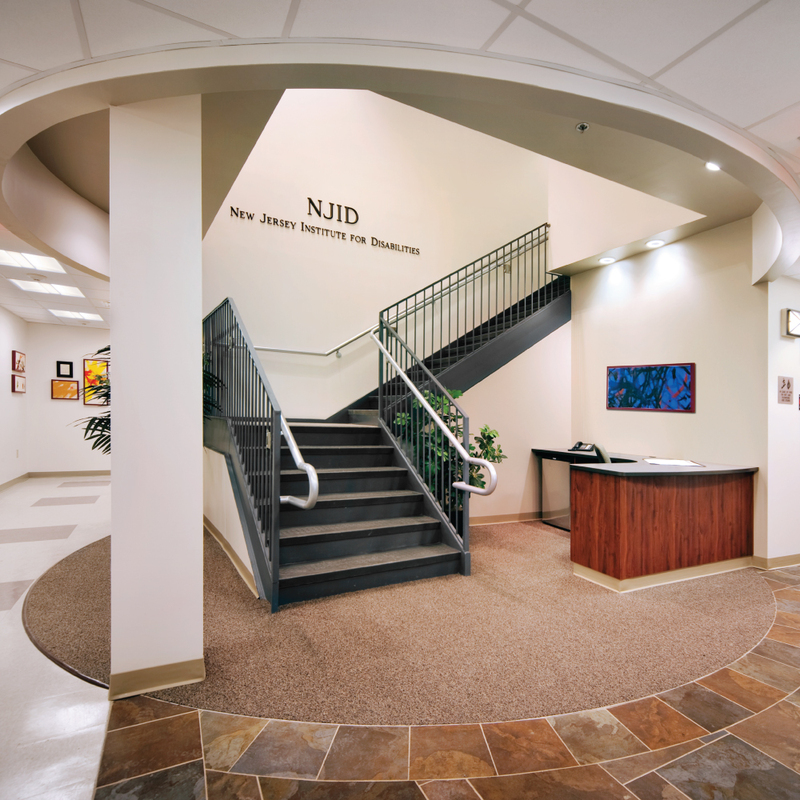 The first floor is comprised of two large open plan departments each with private offices for the department directors. The second floor will be used for the president and other key members of the staff. 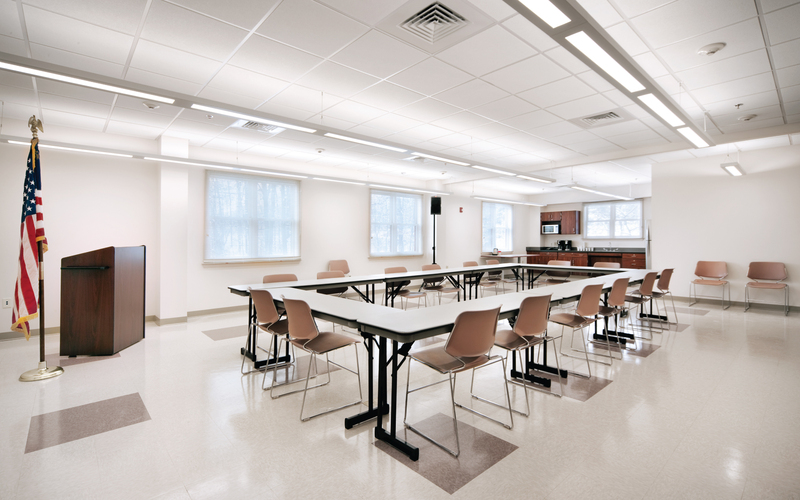 There is also a large meeting room with a movable partition which can open to the kitchen for special events. The project is registered with the USGBC for LEED Certification (Silver) and will utilize rooftop photo-voltaic panels to reduce demand from the electric grid. The building has a partial basement which will be used for building services as well as additional storage space and supply area. The space was also designed for easy conversion to offices in order to anticipate future growth.